330 pages | 34 B/W Illus. "…..the author’s story is extremely well-told – This will be a most accessible book, and most pleasingly his exposition, working over some heavily contested areas of history, is very well-balanced". 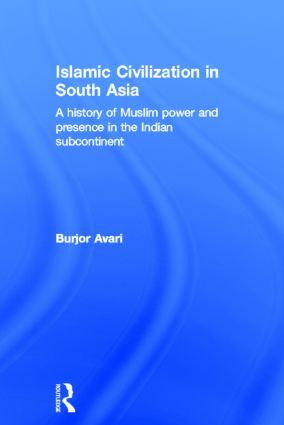 Islamic Civilization in South Asia presents a solid account of Muslim power and presence in the Indian subcontinent. The book’s strength lies in its probing analysis of the political and socio-economic aspects of Indo-Muslim history, and will help students of South Asian Islam interrogate the relationship between power and knowledge and the political dimensions of cultural forms. Burjor Avari is Honorary Research Fellow at Manchester Metropolitan University, UK. His research interests include Indian and South Asian History, and he is the author of India: The Ancient Past – The History of the Indian Subcontinent from 7000 BC to AD 1200 (Routledge, 2007).